The school year is in full swing! As much as I miss summertime, I really enjoy being back on a schedule and feeling productive each day. College is a very different schedule than high school, which has taken a bit of adjustment. While classes do not meet as often, there is more time spent getting to classes and completing work on my own. Between classes, homework, blog work, meetings, and everything in between, I always need a little pick-me-up around mid-afternoon. It's so easy to want to grab a bag of chips or even fast food French fries, but I try to pack a bag of SkinnyPop in my backpack each morning before I head out the door. The Freshman 15 is so real, and I am trying my best to maintain a somewhat balanced diet. 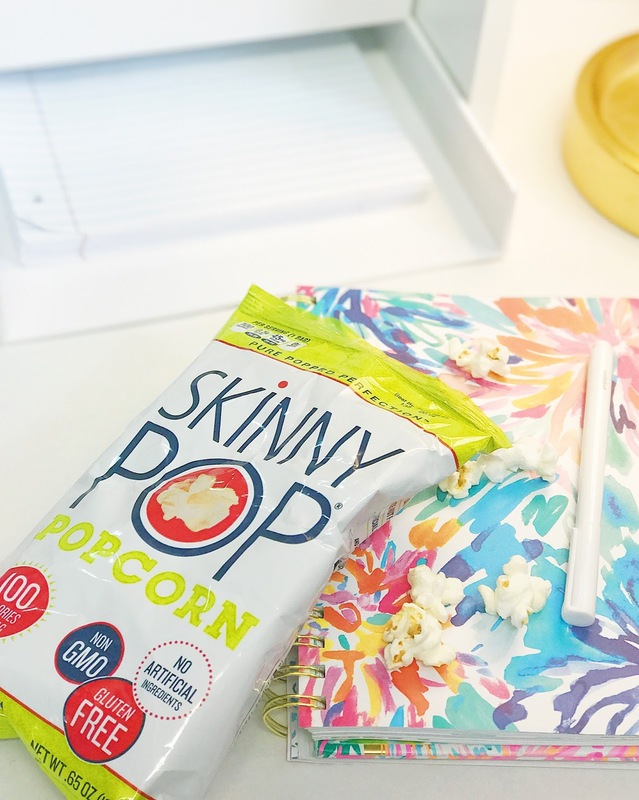 Not only is SkinnyPop delicious, but the small snack size bags satisfy my afternoon hunger and gives me some energy until dinnertime. I also make sure I go work out. We have two amazing facilities on campus. It is a fun activity to go with friends on the slower Sunday afternoons or in the evening when I need to take a break from the books. 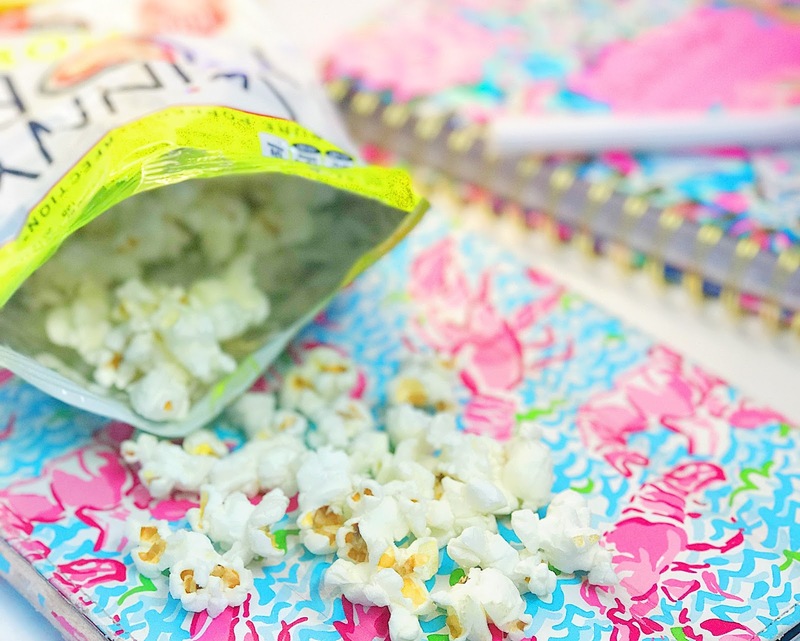 During the week, I eat at my sorority and while everything is so good, especially "fried Fridays," I try to make smart choices. I could happily drink sweet tea at every meal, but I don't, and I know my waist line and my teeth are happy about that.